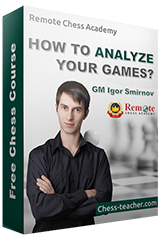 Today I’d like to share with you one of the most popular video lessons of RCA – 7 Best Chess Opening Traps. 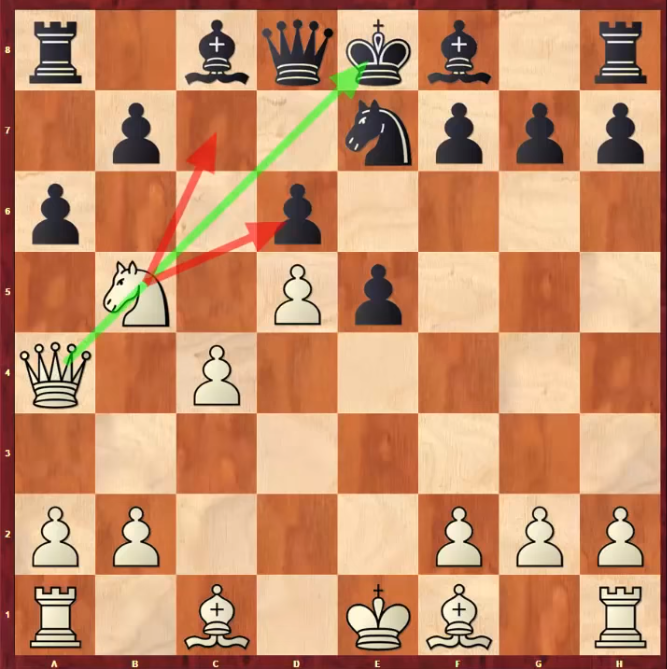 As you would have known from the title, in this lesson I will share with you 7 chess opening traps – these traps are really easy to learn, and therefore, you will be able to apply them in YOUR chess games right away! 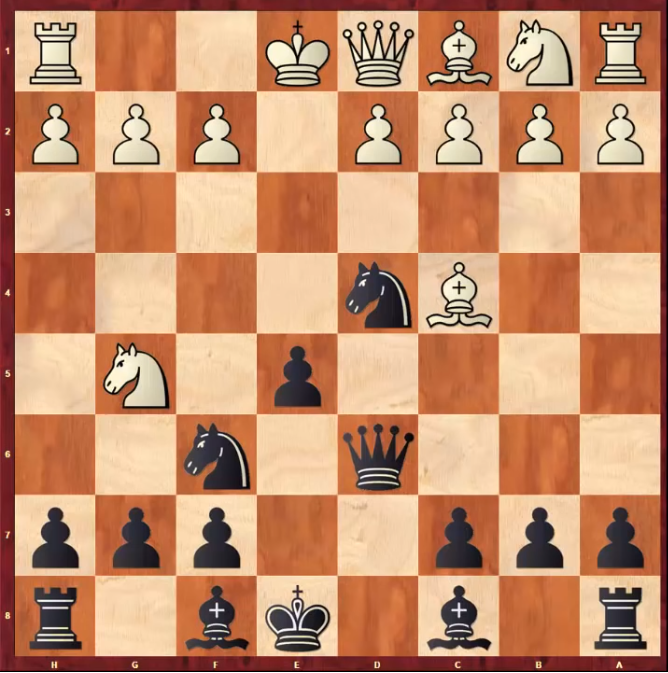 The traps that are presented in the lesson are from a variety of popular chess openings –Sicilian, Caro-Kann, Spanish, Two Knights, and so on; and therefore, you will find them very useful! In addition to being very effective and easy to learn, they are very solid – so if they don’t work (i.e. your opponent doesn’t fall for them), your position will still be fine, which is a very rare quality for a chess trap. 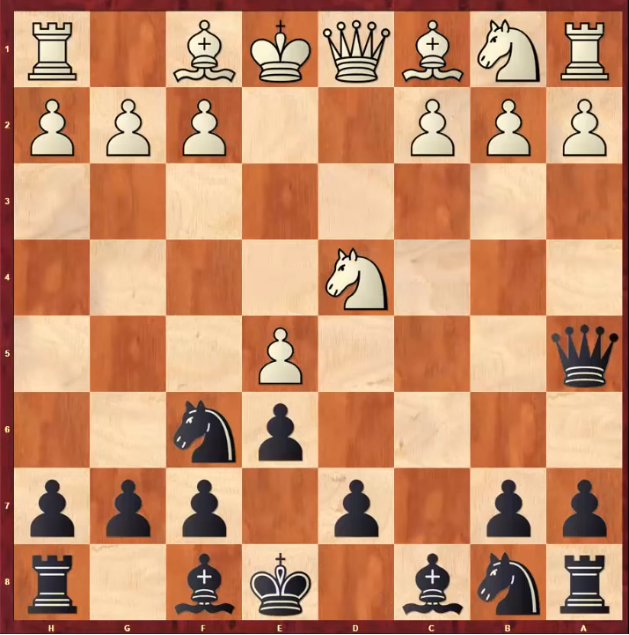 The first trap is for the Black side from the Sicilian Defense, after the following moves 1.e4 c5 2.Nf3 e6 3.d4 Nxd4 4.Nf6 and after these common moves, here it is really tempting for White to push his pawn to 5.e5 and pushing Black’s knight away. Actually, even stronger players fall into this trap; I’ve won a couple of games myself with this trap. The trap is that Black can play 5…Qa5+ and then capture the e5-pawn. 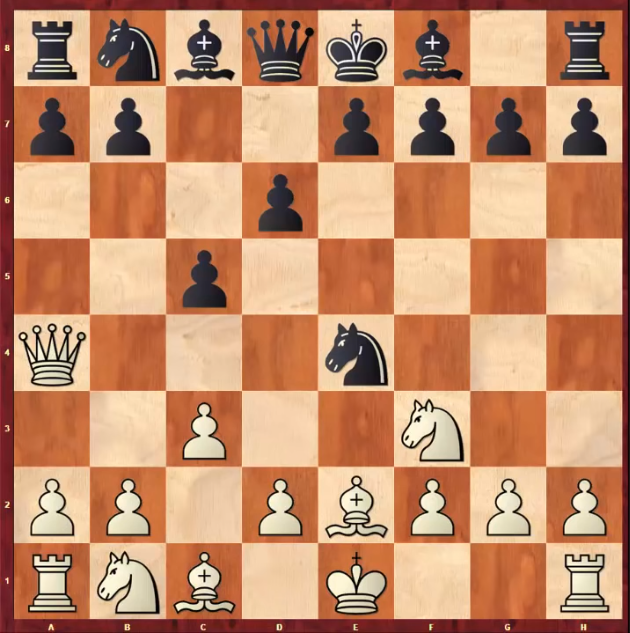 The important thing to notice here is that even if your opponent does not fall into this trap, and plays a normal move like 5.Nc3, then your position is not corrupted and you can continue the game with normal, developing moves like 5…d6 or 5…Nc6. Therefore, the trap that you tried to set for your opponent did not harm your position in any way. That’s one of the most important criterion of the traps that I’ve chosen in this lesson. 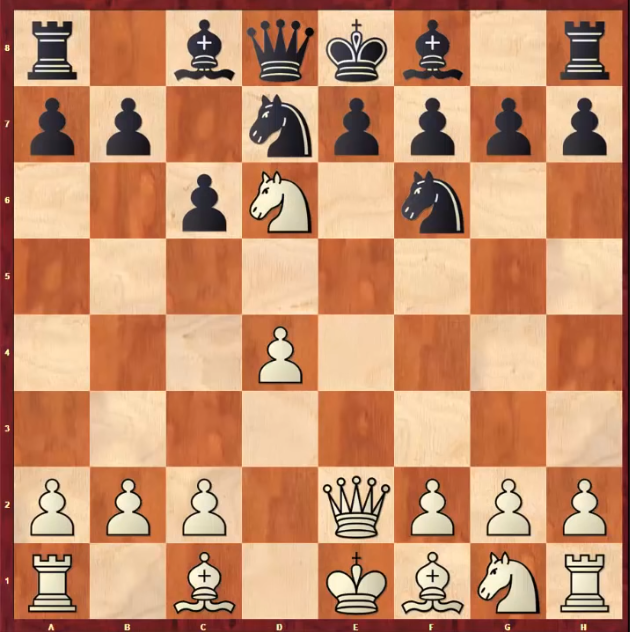 This is a trap for White from the Najdorf variation from the Sicilian Defense. 1.e4 c5 2.Nf3 d6 3.c3 and if Black tries to counterattack by playing 3…Nf6 attacking the e4-pawn. And you can set a trap by playing 4.Be2 (no, that’s not a blunder and you will soon know why). 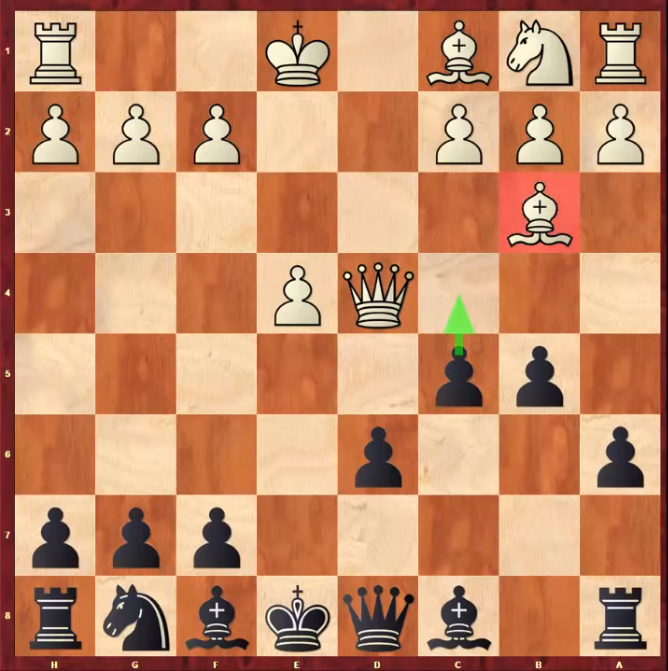 If Black plays 4…Nxe4, taking the pawn, falling into the trap to be more precise, then you can execute the double attack 5.Qa4+ and win Black’s knight! 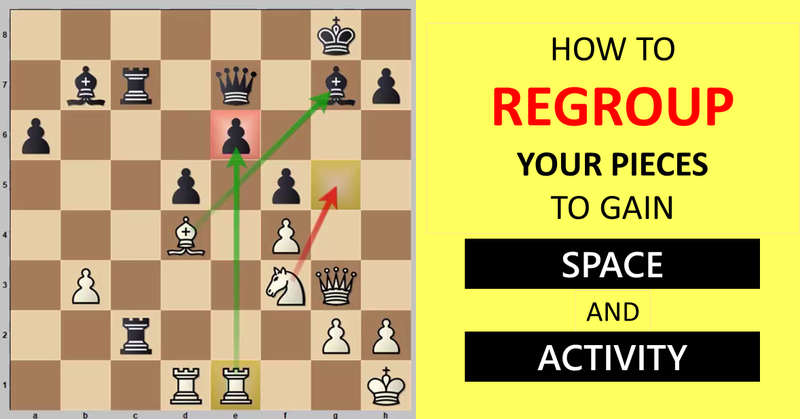 This is probably the most powerful chess trap. 1.e4 c6 2.d4 d5 3.Nc3 dxe4 4.Nxe4 Nd7 5.Qe2, setting the trap. And if Black continues with development plan 5…Nf6, boom, he loses the game after 6.Nd6# mate in 6 moves! This trap is similar to trap-3. It is quite a well-known trap, and yet, some players are unaware of it. 1.e4 e5 2.Nf3 Nc6 3.Bc4 Nd4, and now it’s tempting for White to capture the e5-pawn. If he does that 4.Nxe5, then Black plays a powerful move 4…Qg5 with a double attack, attacking the knight and the g2-pawn. 5.Nxf7 Qxg2 6.Rf1 (6.Nxh8 Qxh1+ 7.Bf1 Qxe4+ 8.Be2 Nxc2+ 9.Kf1 Qh1#) Qxe4+ 7.Be2, the only move or White loses his queen, and now the game is over after 7…Nf3#. If 7.Bxf7+ Ke7 and now White suddenly realizes that he hasn’t developed much of his pieces, and his only two pieces that are developed cannot execute any serious attack, and also they are in danger. 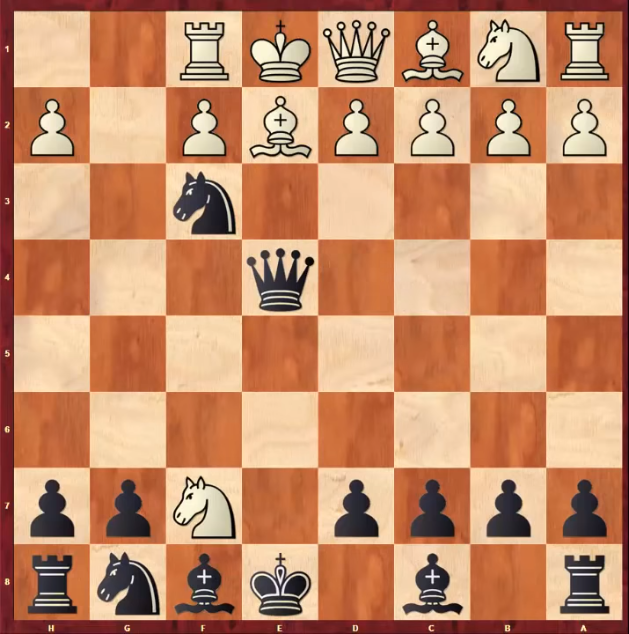 If 8.Bb3 Nxb3 9.axb3 Black can push White knight with 9…h6 10.Nf3 e4 11.Ng1 and even though Black is a pawn down, he has a very active position, and can even move his king to a safer square 11…Kf7. 1.e4 e5 2.Nf3 Nc6 3.Bb5 a6 4.Ba4 and now instead of the most typical move 4…Nf6, Black can play 4…d6, Steinitz the first World Champion play that way. The most aggressive-looking for move is 5.d4 b5 6.Bb3 Nxd4 7.Nxd4 exd4, but now if White captures the pawn with 8.Qxd4 then he is losing the game after 8…c5 with the idea of playing c4, trapping White’s bishop. If White plays 9.Qd5 Be6 10.Qc6+ Bd7 11.Qd5 c4 and the bishop is trapped, and your rook on a8 is protected. 1.e4 c5 2.Nf3 Nc6 3.d4 cxd4 4.Nxd4 Nf6 5.Nc3 e5 6.Ndb5 d6 7.Nd5 creating a very straightforward treat of Nbc7+ fork. 7…Nxd5 8.exd5 Ne7 9.c4 and the most natural-looking move for Black 9..a6 is losing. 10.Qa4 pins the a-pawn and also threatening Black’s king in the a4-e8 diagonal. If he tries to cover the diagonal with 10…Bd7 and then comes 11.Nxd6#. But if he covers with the queen 10…Qd7 then 11.Nxd6+ and after the only move 11…Kd8 12.Nxf7+ Ke8 13.Qxd7+ Bxd7 14.Nxh8 is winning. Finally, I’d like to share with you a few other additional lessons that you might find really helpful.